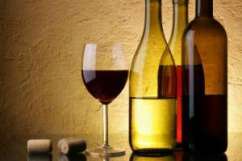 Home Made Wine - Making Your Own Wine - Home Brewing, Wines & Beers etc. Why pay two thirds in tax when you can make your own perfectly acceptable wine at home? Be warned, once you start it is an addictive hobby and soon you’ll have your own cellar full of maturing wines. Although you will save money making your own wine, there’s little point if the wine you make is awful and nobody wants to drink it. I’d suggest the best way to get started is by making your wine from grape concentrate or kits. Like any craft, it takes a while to acquire the necessary skills and starting this way means you are far more likely than not to get, at the very least, an acceptable result. Once you’ve got to grips with the processes and it has to be said, worked out what went wrong on the odd disaster, you can move on to more advanced ‘country’ wines from fruits and even vegetables that you and your friends will enjoy. Hedgerow country wines have been made for hundreds of years and a good country wine can compete with any French wine. I don’t want you to think it’s rocket science. People have been making wine for thousands of years using the most basic equipment and today we have far superior tools to do the job, which makes life a lot easier. Once you’ve made a few kit wines, you’ll be ready to move onto making your own country wines from fruits and even vegetables. There are hundreds, perhaps thousands, of country wine recipes but these are popular and proven.